Response: The results suggested that light drinkers, who consumed less than 7 drinks per week, were at the lowest combined risk of getting cancer or dying earlier. However, risk began to increase for each additional drink per week consumed. The results were based on US standard drink sizes but differences to larger glasses of wine or pints of beer would be minimal at lower intakes. Response: It is not our intention to tell people whether they can or can’t drink. We simply aim to provide them with reliable evidence so that they can make their own informed, healthy decisions. The main messages would be that if someone is currently drink more than 7 alcoholic drinks per week, then reducing alcohol intakes may help them to reduce their risk of cancer or premature death. The results hopefully reassure light drinkers that they’re not increasing their risk of major health outcomes. However, the results perhaps suggest that we won’t be able to justify that second drink in the evening as being beneficial for our health. If more people choose to reduce their alcohol intakes slightly, then we should see less families affected by cancer and other major health conditions. We don’t think that these results should encourage non-drinkers to start drinking alcohol, as the mechanisms for health benefits are still undecided and the reduced risk may reflect drinkers being healthier for other reasons. Response: We think that the research is becoming increasingly consistent as to the health impacts of light drinking and as to what “drinking in moderation” is. What seems less certain is how we can best help people that want to reduce their drinking to achieve their goals. 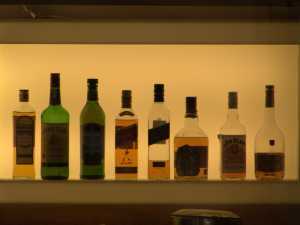 Very often people drink alcohol as a coping mechanism during stressful periods of their life. Future research should also study if governments can do more to help people achieve their goals of reducing alcohol intakes, without dictating whether people can or can’t drink. Response: In summary, the evidence is clearer than ever that reducing alcohol intakes to less than 7 drinks per day might help people reduce their risk of getting cancer or dying early. Disclosures: We have no links to industry or any other conflicts of interest to report. This entry was posted in Alcohol, Author Interviews, Cancer Research, PLoS and tagged alcohol, cancer, medical research, mortality by Marie Benz MD FAAD. Bookmark the permalink.